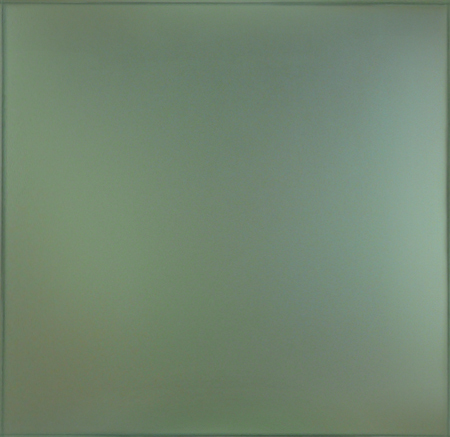 Tenri Cultural Institute is excited to announce the solo exhibition of Toshihiro Sakuma. “The "Healing" series began in 1993 with an installation in which the living and deceased persons in Sakuma's family tree were replaced by ON/OFF light bulbs, which are ordinary, mass-produced products. He also placed the same light bulbs, exquisitely dimmed so as to make viewers feel "life," body warmth and spirit, within the dark, hidden recesses of everyday items such as vinyl greenhouses, futons, furniture and doorplates. In 1998, he stopped this "Healing" series, connected the light bulbs to people's names, and started a new series, "colony," trying to think about "individuals and groups." In the "Healing" series, he used light bulbs as a metaphor of abstract/universal "life," whereas here he tried to relate "life" directly to each person's name, to make the concept specific, individual and straightforward. He used 150,000 actual Japanese individuals' names that he had collected. By replacing light bulbs with this tremendous number of names, the "death" image lurking behind the "Healing" series appeared in the foreground. Further, in 2003, he began a series in which he integrated the previous two series. "Life," symbolized by names in the "colony" series, became concrete visual images of human-like faces, bodies or skin in the "Adhesion/Replacement" series. Here, Sakuma tried to take human gestures and memories from photographs and movies. He collected all of the images for this project from the Internet and other free media, so they all are, so to say, "garbage/junk." Instead of photographing or shooting them himself, he combined photographs taken and uploaded by an unspecified number of anonymous photographers on 100-image sheets. Displaying countless anonymous faces in motion simultaneously, he tried to neutralize their individualities, to average them out.Although he has changed the framework for each series and changed both the main media and his method, he always gazes at every single "life;" every single "life" has meanings of both life and death. "Life" can be lost in an instant, but every single "life" is memorialized and continues to exist as a spirit: that is his "basso continuo." Sakuma's work, which is never addressed directly to concrete things and incidents, has been interpreted variously by viewers who are careful observers of "life;" they interpret it in relation to "life"-like cells, ants, bees, etc.; ? to "life"-like individuals, family members and society; to "life" lost by earthquake, war, the Holocaust and to 9/11 as well. Since 2012, he has started the work to rethink the first series, "Healing." If we look back on his vinyl greenhouse installation, "Healing," exhibited in 1995, which has a somewhat romantic tendency, we find that the greenhouse was presented as a place in which "life" can bud. At the same time, the vinyl sheet was suggested as a thin skin of a container-house that protects weak "life" from the harsh, external world. However, when the earthquake and tsunami hit his hometown in 2011, the same vinyl greenhouses appeared, in reality, to be corpses. Rather than limiting himself by responding specifically to the calamitous earthquake and tsunami (as well as the nuclear accident), Sakuma approached these events from a more universal perspective. He noticed that he should think about the "existence" surrounding the vinyl greenhouse; the "existence" which can instantaneously destroy budding "life" or protected "life." While, nevertheless, lost "life" continues to exist as a memory and a sign ? in this series which bears the name, "Healing," he wanted to extend his thought to the harshness of "existence." Tenri Cultural Institute also would like to presents the world premiere of Emily Bronte--Through Life and Death, A Chainless Soul, a poetic mono-opera in one act based on selected poems of Emily Bronte by composer Akemi Naito on Friday, January 5th and Saturday, January 6th at 8pm. Honoring the 200th Anniversary of the birth of Emily Bronte in 2018, this mono-opera is a collaborative work with mezzo-soprano Jessica Bowers, pianist Marilyn Nonken, visual artist Toshihiro Sakuma, and actor Robert Ian Mackenzie. Naito expounds, "I wanted to express Emily Bronte herself in this work, using her poetry as the text. Because of the extraordinarily powerful inner voice that resonates in her poetry and the root of her creativity coming from deep within her spirit, I felt it would make a perfect libretto. I have felt a deep connection with her poetry for decades, and knowing that the year 2018 is the bicentennial of her birth, the idea of this composition seemed a natural way to celebrate her, and hopefully expand the audience and venue for new music. Poetry is the core of this collaborative work, and the music and visual art are inspired by the poems. “Emily Bronte – Through Life and Death, A Chainless Soul” is a poetic mono-opera in one act based on selected poems of Emily Bronte, scored for mezzo-soprano and piano that will be performed within a specifically designed art installation in either a gallery space or concert venue. This is a collaborative work with mezzo-soprano Jessica Bowers, pianist Marilyn Nonken and visual artist Toshihiro Sakuma. The year 2018 is the 200th anniversary of the birth of Emily Bronte, English novelist and poet who is best known for her only novel, Wuthering Heights. I wanted to express Emily Bronte herself in this work, using her poetry as the text. Because of the extraordinarily powerful inner voice that resonates in her poetry and the root of her creativity coming from deep within her spirit, I felt it would make a perfect libretto. I have felt a deep connection with her poetry for decades, and knowing that the year 2018 is the bicentennial of her birth, the idea of this composition seemed a natural way to celebrate her, and hopefully expand the audience and venue for new music. Poetry is the core of this collaborative work, and the music and visual art are inspired by the poems. I chose seven poems, including three iconic poems - To the Imagination, Anticipation, and No Coward Soul is Mine, which to me clearly express her unique creativity. In an instant, using very simple words, her inner spirit soars freely, far from the boundaries of her everyday life. It is a most remarkable phenomenon wherein I sensed a certain timelessness that embraces the past, but reflects her life and feelings, filtered through her imagination. It is this spirit I aim to encompass in this project. 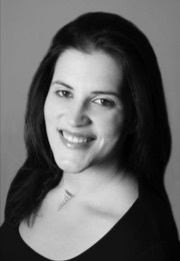 The voice of Emily is sung by mezzo-soprano Jessica Bowers with Marilyn Nonken, pianist. I read that Emily played piano very well and that motivated me even more to compose a piano setting. 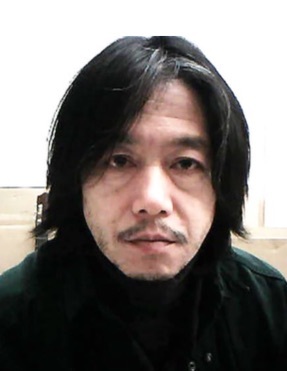 Hoping to create a stage/performance space in collaboration with a visual artist, I asked Toshihiro Sakuma, an installation artist, because the core of his art, “inochi” meaning life that continues to exist in memory, would be a perfect fit for this project. We will bring this project to the Tenri Gallery at Tenri Cultural Institute of New York, which is an ideal place to present this work. Tenri is a gallery that frequently presents concerts during its exhibitions. However, our project is a collaboration from the beginning, so this is a unique opportunity to give a musical performance as an integral part of the art installation created specifically for this project. Akemi Naito is a composer based in New York City. Born in Tokyo, She began studying piano at the age of five and composition at the age of fourteen. In 1978, she received her B.A. in Music Composition from the University Division at the Toho Gakuen School of Music and graduate degree from the same university in 1980, and was a member of the school’s faculty from 1980 to 1991. Following her earlier activity as a composer in Tokyo, she came to NYC in 1991 when she received a grant from the Asian Cultural Council. Contemporary Music Festival, Japan Society Spring Festival and Music from Japan Festival in New York City, Foro Internacional de Musica Nueva in Mexico and Music Today International Festival in Tokyo. 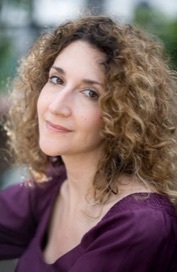 Her marimba piece, Memory of the Woods, which was written for William Moersch in 2000 has received numerous performances both in the U.S. and internationally. Naito is a recipient of awards and grants from organizations including the Composer Assistance Program of the American Music Center, Aaron Copland Fund for Music for Recording for her CD album in conjunction with Cygnus Ensemble, the Bellagio residency from the Rockefeller Foundation, Chamber Music America, the New York Foundation for the Arts, ASCAP Standard Awards, Meet the Composer Fund, the first Aaron Copland Award from the Copland House residence, and resident fellowships from Yaddo, MacDowell Colony and Millay Colony for the Arts. Her CD album Mindscape was released by Bridge Records in 2006 and Strings & Time was released by CRI in 1997. In addition, her compositions can be heard on EMI, ALM, URTEXT, New Focus Recordings and Camerata Tokyo. Her works have been published by HoneyRock in US, AUGEMUS in Germany, and SONIC ARTS in Japan. Jessica Bowers has performed with Utah Opera, Anchorage Opera, Opera Boston, Opera at Caramoor, Central City Opera, and Ohio Light Opera. Roles include Mother Abbess in The Sound of Music, Hansel in Hansel and Gretel, The Third Lady in Die Zauberflote, Rosina in Il Barbiere di Siviglia, The Queen in John Harbison's A Full Moon in March, Ruth in Pirates of Penzance, Nicklausse in The Tales of Hoffmann, Mrs. Peachum in Three-Penny Opera, Hippolyta in A Midsummer Night's Dream, and The Old Lady in Candide. She has performed recitals with Poetica Musica, Sonora Trio, and The Bowers Fader Duo. This past year she performed with The Sonora Trio, Litha Symphony Orchestra, The East Winds Quintet, and The Bowers Fader Duo in New York City, Honesdale, PA, and Manchester, VT. 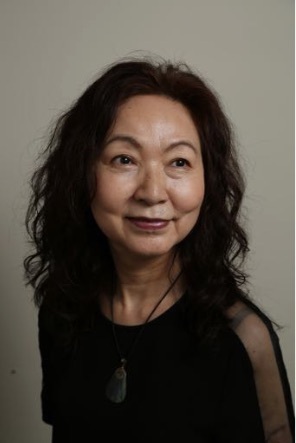 In 2018, she will premiere the monodrama "Through Life and Death – A Chainless Soul", settings of Emily Bronte poetry, composed by Akemi Naito. She will also premiere a new arrangement of Paul Salerni's "Something Permanent" with the Satori Ensemble at Morvian College in Pennsylvania. And in February, The Bowers Fader Duo will present an encore performance of their Second Annual New American Art Song Concert as Scholes Street Studio. For the past two years, she has been focusing on commissioning, performing, and recording new works for mezzo-soprano and guitar with husband and duo partner, Oren Fader. They have premiered 15 new works written for them and will continue to pursue this through their annual New American Art Songs Concert, held every October at Tenri Cultural Institute. Upon her New York recital debut, Marilyn Nonken was heralded as "a determined protector of important music" (New York Times). Since then, she has been recognized a "one of the greatest interpreters of new music" (American Record Guide). “Her voicings are exquisite, her pedaling throughout is a model to be studied, and, when necessary, her virtuosity is equaled only by the insight and passion with which every piece is imbued.” (Fanfare 2015) Her performances have been presented worldwide at such venues as Carnegie Hall, Lincoln Center, Miller Theatre, the Guggenheim Museum, (Le) Poisson Rouge, Roulette, the Neue Galerie, and Great Music at St. Bart’s (New York); IRCAM and the Theatre Bouffe du Nord (Paris), the ABC (Melbourne), Instituto Chileno-Norteamericano (Santiago), Phillips Collection (Washington DC), Menil Collection (Houston). Festival appearances include Resonances and the Festival d'Automne (Paris), Aspects des Musiques d'Aujourd-hui (Caen), Festival Messiaen au Pays de la Meije (Hautes-Alpes), When Morty Met John, Making Music at Carnegie Hall, Works and Process, and Composers Now (New York), American Sublime (Philadelphia), The Festival of New American Music (Sacramento), Musica Nova (Helsinki),Messiaen 2008 (Birmingham, UK), ATEMPO (Caracas), New Music Days (Ostrava), Musikhost(Odense), Music on the Edge (Pittsburgh), Piano Festival Northwest (Portland), Unruly Music (Milwaukee), and the William Kapell International Piano Festival and Competition. Her repertoire comprises the complete piano music of Schoenberg, Boulez, and Murail, as well as works by pioneers of the New York School, New Complexity, and spectral music. Her nearly 30 CD releases include Morton Feldman: Triadic Memories (Mode), Voix Voilees: Spectral Music for Pianoand Tristan Murail: Complete Piano Music (Metier), Olivier Messiaen: Visions de l'Amen (Bridge), and Jason Eckardt: Subject (Tzadik). She has collaborated with composers associated with the spectral attitude, such as Tristan Murail, Hugues Dufourt, Jonathan Harvey, and Michael Levinas, and composers who have written for her include Drew Baker, Richard Carrick, Michael Finnissy, Elizabeth Hoffman, Michael Kuehn, Christopher Trapani, and Nina C. Young. This season's highlights include the premieres of works by Ingrid Arauco, Michael Byron, Ellen Fishman-Johnson, Akemi Naito, and Joshua Hey. A Steinway Artist, Marilyn Nonken is Associate Professor and Director of Piano Studies at New York University's Steinhardt School. Following numerous occupations ranging from a London policeman to a waterski instructor on the Greek island of Corfu, to managing director of a manufacturing company, Robert's performance career has been multi-faceted. Films include Voices over the Water (Release 2018) The Good Shepherd, The Thomas Crown Affair, A Fish Called Wanda, A View to a Kill and Escape to Athena. Robert has appeared on theatrical stages throughout the UK, Ireland, Japan and the USA, including London's West End (Beauty and the Beast, The Secret Policeman's Ball, Foul Play), New York City - Agamemnon at La MaMa, India Awaiting at the Samuel Beckett Theatre, and Enchanted Wanderer at Avery Fisher Hall, and numerous roles for Ensemble For The Romantic Century in The Dreyfus Affair, Tolstoy's Last Days, Heinrich Heine, The Trials of Oscar Wilde, Akhmatova, Jekyll and Hyde at Symphony Space, NY. He has played Scrooge in A Christmas Carol many times in New York City. Regional theatre performances include The Mystery of Attraction at The Actors Theatre of Louisville, South Pacific at the Hangar Theatre, Christmas Carol at Syracuse Stage, Forget Herostratus, Jekyll and Hyde and Pride & Prejudice at Bristol Riverside Theatre. Television appearances include All My Children, Guiding Light and The Late Show with David Letterman. 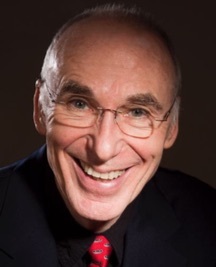 Robert has sung the leading baritone roles in Rigoletto, Il Trovatore, La Traviata, Carmen, Un Ballo in Maschera, Nabucco, Aida, and Gilbert and Sullivan's The Mikado and Pirates of Penzance. He was recently seen at the Brooklyn Academy of Music (BAM) in Akhmatova - The Heart Is Not Made Of Stone. Robert has narrated 66 audiobooks. Toshihiro Sakuma was born in Miyagi prefecture, Japan in 1957. He completed graduate school of Tokyo National University of Fine Arts and Music [M. F. A.] in 1982. Sakuma started a quiet installation art series of "Healing" in 1993. He regarded exquisitely dimmed light bulbs' ON/OFF as ON / OFF of life. He placed them in the daily living tools such as old furniture, futons, family tree and vinyl greenhouses, so that let the viewers remind the chain and disconnection of life. Solo exhibitions; "Healing", L. A. Artcore's Brewery Annex, Los Angeles, '94, "Noah2000 / Healing," Rias Ark Museum of Art, Kesennuma, Japan, '95, and others. Selected exhibitions; "CATCHING THE LIGHT," O Art Museum, Tokyo, '97, "ART MIYAGI," Miyagi Museum of Art, Sendai, Japan, '00, "LIGHT AND EXPRESSION," Nerima Art Museum, Tokyo, 01, and others. In 1998, Sakuma started a series of "colony" that switched light bulbs to people's name, poured a huge number of names into books, nameplate boards, old televisions, gauze, etc. and visualized the relation between the individuals and its group. 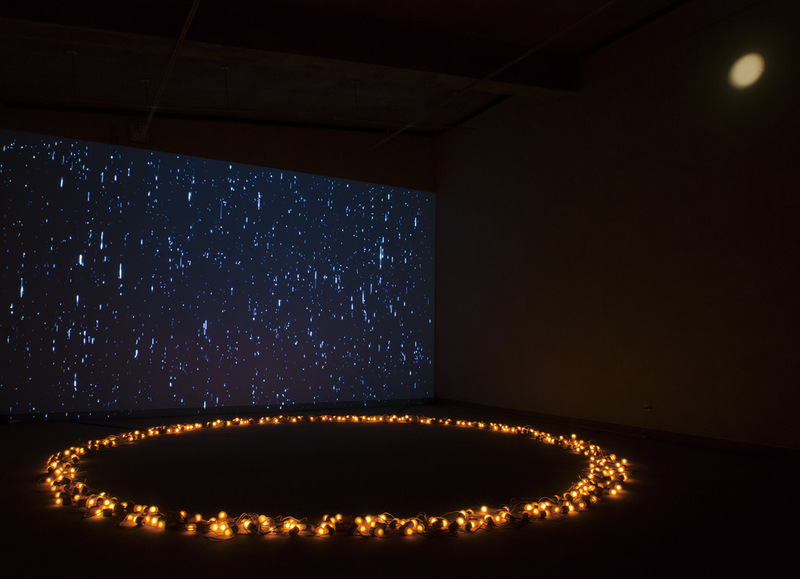 He aimed to create a virtual space that recalls the absence / death of human beings. Solo exhibitions; "colony", Snug Harbor Cultural Center, New York, '98, "colony", M. Y. Art Prospects, New York, '00, and others. Selected exhibitions; "ConversASIAN IN CAYMAN," National Gallery of the Cayman Islands, '02, "REFLECTIONS," Aichi World Exposition 2005 Japan Pavilion, Seto, Japan, '05, and others. In the series of "Adhesion / Replacement" started in 2003, Sakuma collected countless images and movies from prints, TVs and websites, superimposed them as "once existed" spiritual images, processed them and constructed a video / photo installation works. Solo exhibitions; "Adhesion / Replacement", Kobo, Tokyo, '06, "Adhesion / Replacement", Gallery Ecru no Mori, Mishima, Japan, '09, and others. Selected exhibitions; "OGAKI BIENNALE 2008 / LIVE STREEM," Ogaki Building, Ogaki, Japan '08; "CHAIN OF LIFE, CHAIN OF IMAGE,"; Mori Ogai Memorial Museum, Tokyo, '14, and others. Currently, he does work to reconsider his first series of "Healing." Solo exhibitions; "Healing," Gallery 7 degrees C, Tokyo, '13, "Healing," Gallery Kingyo, Tokyo, '16, and others. Selected exhibitions; "ART FOR LIFE / EARTHQUAKE", Taro Okamoto Museum of Art, Kawasaki, Japan, '16, "VISUAL-LINES," U-Forum Museum, Tokyo, '17, and others.